This paperbook collection of his prose writings reveals the extent to which Thomas Merton moved from the other-worldly devotion of his earlier work to a direct, deeply engaged, often militant concern with the critical situation of man in the world. Here this concern finds expression in poetic irony and in meditations intentionally dour. In these brief, challenging pieces, Father Merton does not offer consolation or easy remedies. He looks candidly and without illusions at the world of the Sixties. Though he sees dark horizons, his ultimate answer is one of Christian hope. To vary the perspective, he writes in many forms, using parable and myth, the essay and the meditation, satire and manifesto, prose poetry and even adaptations from a medieval Arab mystic (Ibn Abbad) to humanize and dramatize his philosophical themes. 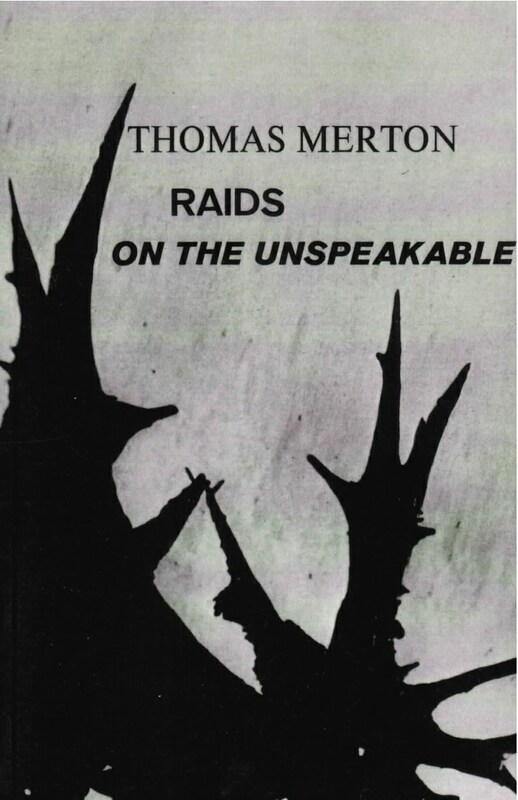 The themes of Raids on the Unspeakable are as old as the myths of Prometheus and Atlas, and as new as Adolf Eichmann. They range from the “Message” written for an international congress of poets to the beautiful yet disturbing Christmas meditation, “The Time of the End Is the Time of No Room.” And there are essays inspired by the work of three significant contemporary writers: the late Flannery O’Connor, the French novelist Julien Green, and the playwright lonesco. A number of Father Merton’s own drawings are also included in the book — not as “illustrations,” but as “signatures” or “abstract writings,” which stand in their own right as another form of personal statement.